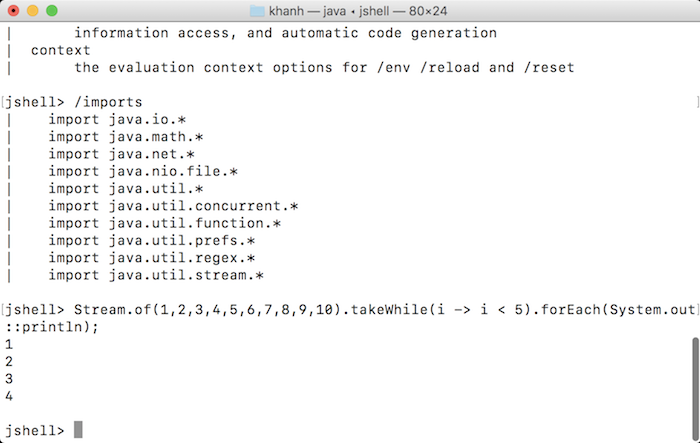 If you have ever worked with some languages like Python, Scala, you may know we can write code and execute code for those languages using only the command line. This will allow us to test some code without having to do a lot of things, simply writing code and executing. 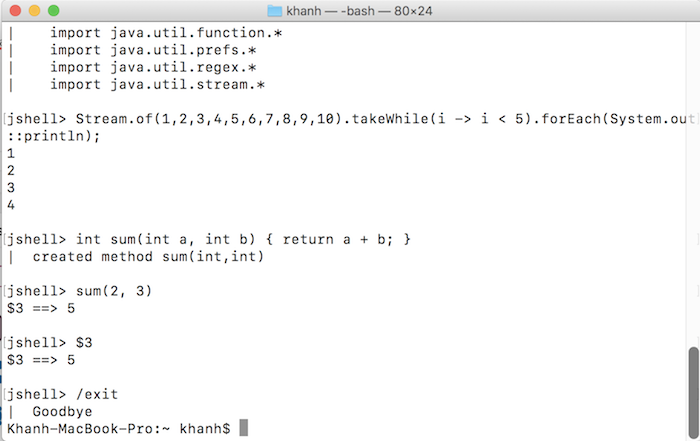 This function is also known as REPL, Read-Eval-Print-Loop. 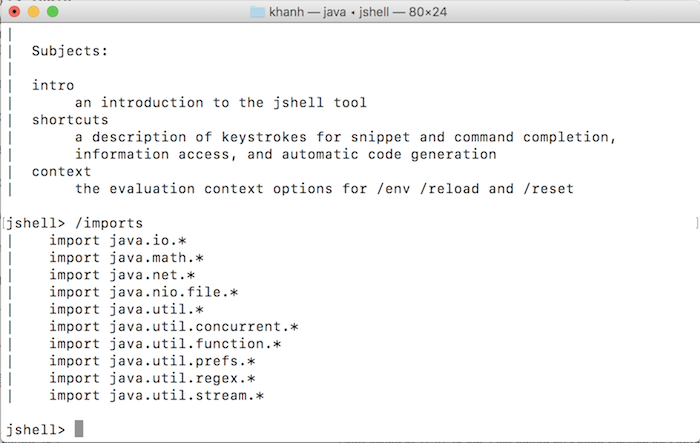 Grabbing that essential need, from version 9, Java introduced us to a similar tool called JShell. What is it? I will have some introduction about it in this tutorial. Let try writing an example with System.out.print(). 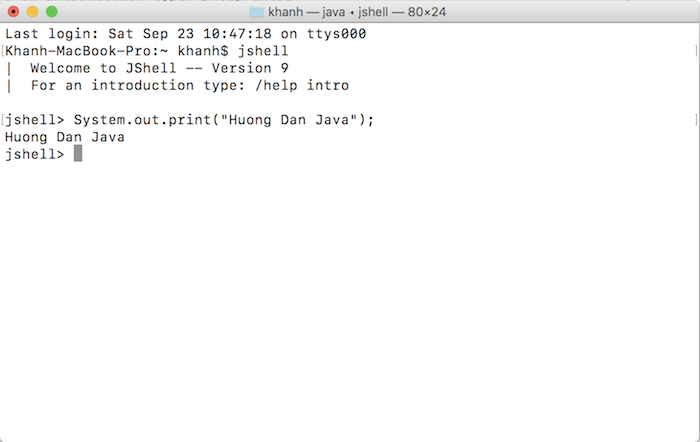 You see, using JShell, we do not need to create new class, add main() method then run. All is simply what we want the program to do, eliminating redundant manipulation. 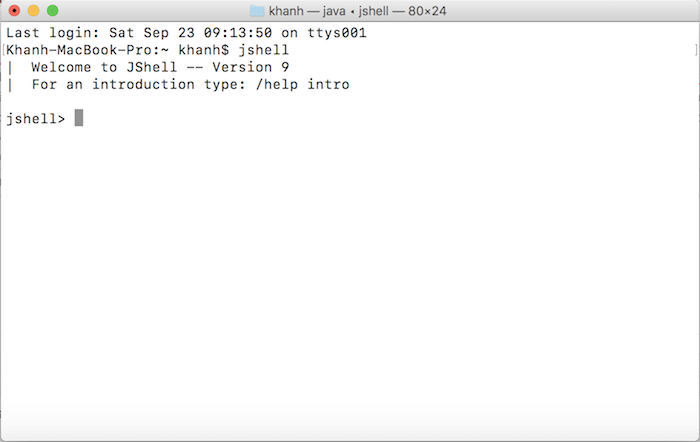 To find out what JShell can do for us, you can enter the command line “/ help”. Here, you will find JShell can do a lot of things for us. 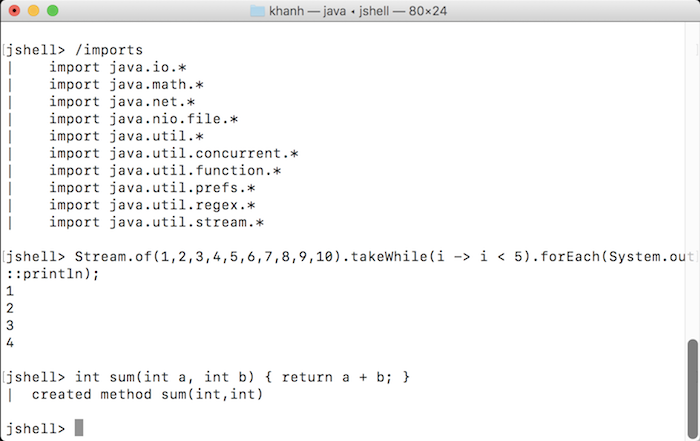 JShell also has good support for methods. 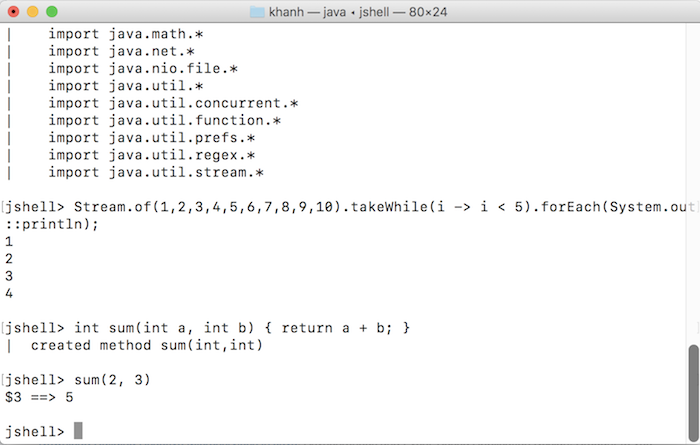 You notice that after executing the code, if the result returns a value, JShell will automatically assign that value to a variable. 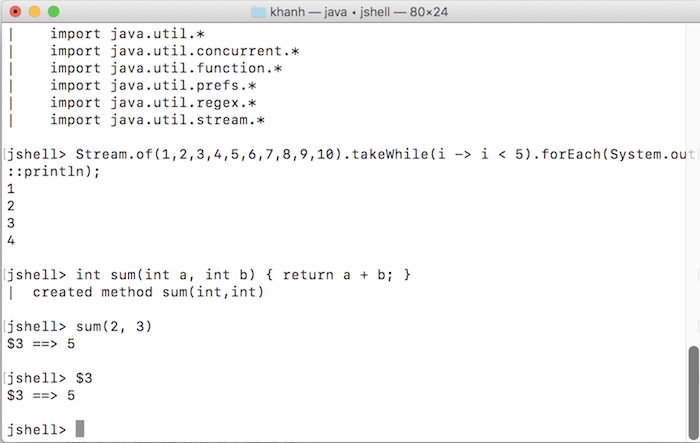 As an example of our sum() method, after executing the code sum(2, 3), the return value is assigned to variable $3. 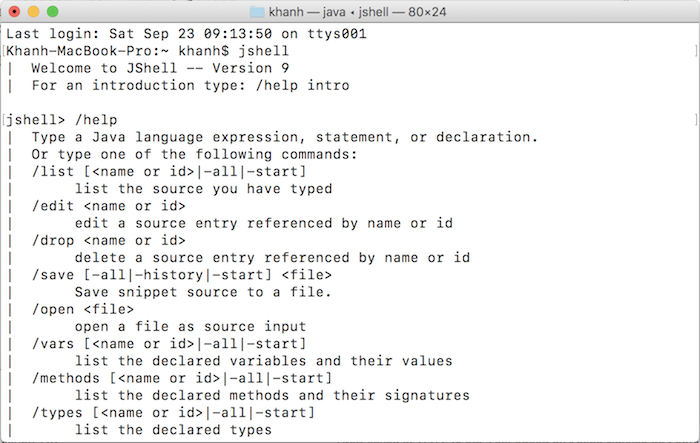 To exit JShell, just enter “/exit”.